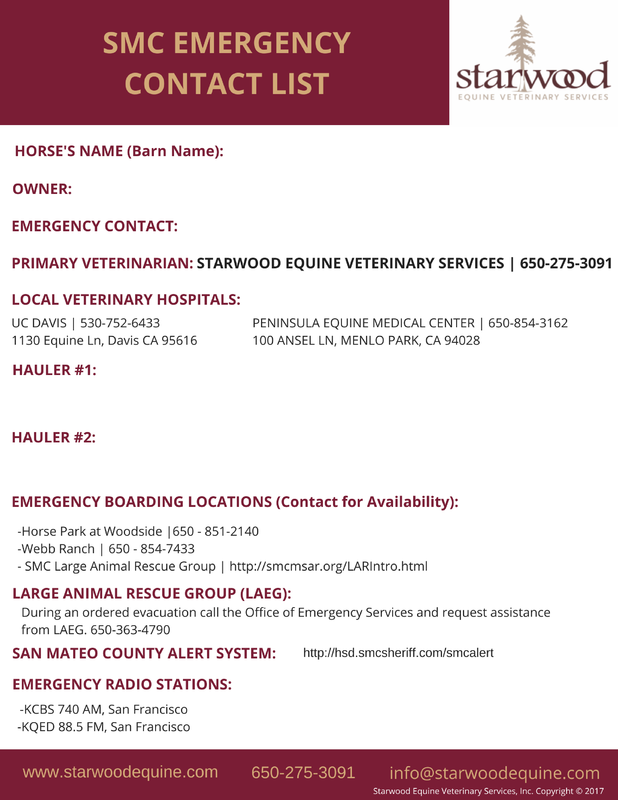 Equine Natural Disaster Planning - STARWOOD EQUINE VETERINARY SERVICES, INC. 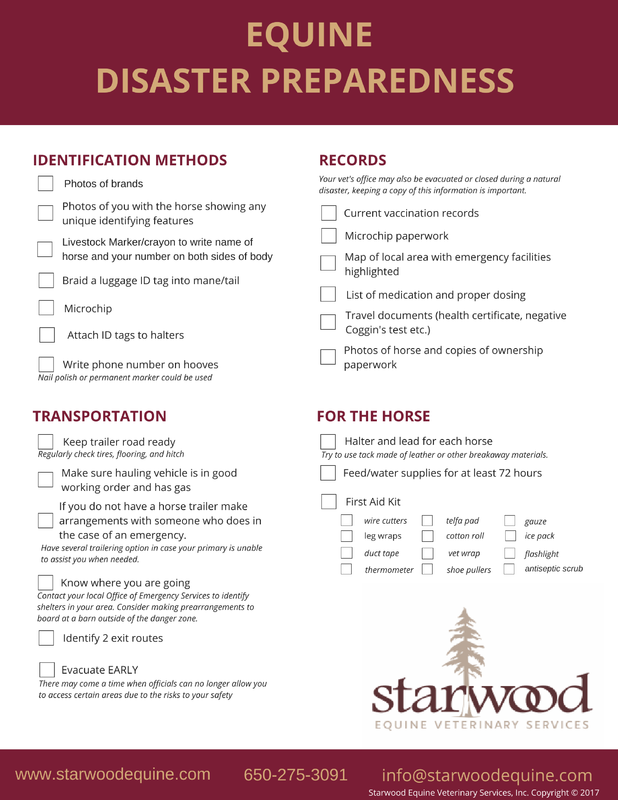 Horse owners must often rely on themselves to aid their horse(s) in a disaster. We hope that the following resources are helpful in the development of your disaster preparedness plan.